“Love one another,” is the command Jesus gave to us in John 13. He also said that the world would recognize us as his disciples because of this love for one another. Valentine’s Day is the perfect occasion for presenting kids with this loving command. Teach kids what this kind of love is and how kids should show this love. Valentine’s Day need not be about candy hearts and falling “in love.” What a great opportunity for building important truths in the hearts of your kids! “Did you know that Jesus commands us to love God’s family? He says we must, ‘Love one another.” Arrange framed pictures on a table or tack up a few pictures of smiling people on a bulletin board. Allow kids to talk about how they can show God’s family members, like James, love. Add suggestions to the conversation like, show him forgiveness, teach the Bible, be friendly, pray with him and remind him that God loves. Send your kids home with a Valentine’s Day card. 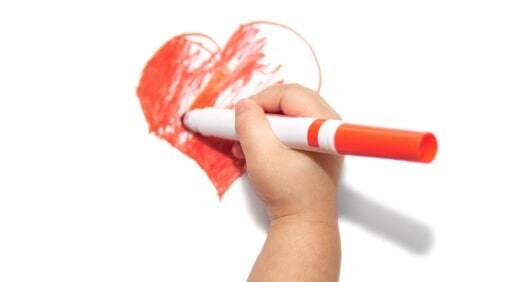 Remind them of the object lesson by writing, “Love one another,” inside each one. Don’t forget the best lessons are shown by example. Let kids catch you showing Christian love to other believers! Read Mimi’s latest children’s ministry book The Prophet’s Code or visit her blog at Encouragement for Christians.